This "article" comes from various questions readers had about bamboo flooring. These questions were found in the comment sections of various bamboo floor articles, but hard to find among the myriad questions and comments. Pulling the questions out of the comments sections and compiling them into an article allows you to have easier access to that information. You may find your questions, and answers, here. We just bought bamboo flooring for our kitchen and I plan to install it this week. Can it be done without a nail gun? Or is it simply too hard to be done with a manual hammer? To answer your “asked” question, I highly recommend a nail gun because it’s faster and easier than a hammer. It’s been a long time since I’ve seen wood floors laid with a hammer instead of a nail gun. An issue you didn’t ask about relates to letting the flooring acclimate before installing it. You didn’t mention where you live, but if you are in a dry climate, as I am, you’ll want more than a few days for the bamboo to dry out to match your climate. If you don’t, the wood will shrink in place as it dries, and that could cause cracking and splitting. Good luck. You’ll *love* your bamboo flooring. Are some brands of engineered floating bamboo better than others? Do you have a recommendation? Thanks! A designer in my area who’s chemically sensitive promotes Plyboo products to her clients. Her Plyboo floors are beautiful. I have Natural Cork bamboo floors. They installed nicely and look good. I don’t like the pre-finished surface though. If I had it to do again I’d go with an unfinished bamboo flooring material and finish it in place. I live in a waterfront condo with concrete floors. Would bamboo be suitable and if so what type of installation would be recommended? As long as you acclimate the bamboo to your home then it would be a fine flooring for your condo. Be sure with the concrete floors to have a good vapor barrier to protect the bamboo from any moisture the concrete would want to wick. A vapor barrier can be provided through a film you lay on the concrete before installing the bamboo or the glue you use to glue it down. I am partial to the glue-down method. The vapor barrier company I like is Raven Industries. The glue I like is Bostik’s Best flexible urethane adhesive. Will bamboo hold up in a summer home where there is no heat on during the winter. (New Jersey where the temperature can drop to the freezing area) I have been told that it is not a good because of this. I haven’t ever experienced freezing my bamboo flooring, other than my bamboo flooring scraps being in an unheated shed. I don’t know why bamboo wouldn’t hold up any differently than wood. Temperature extremes are hard on any natural material like bamboo and wood. But we use wood all the time outdoors — in fencing, decking, benches and steps. Bamboo flooring is engineered which adds dimensional stability to it. Before it’s made into flooring lots of the moisture of the bamboo stalks is dried out of it, but you still need to acclimate it to your location before installing it. Check with the manufacturer to see what they say about it, though they probably don’t know anything about freezing temperatures and their bamboo flooring. And then proceed according to your wishes and knowledge of what your warranty covers. My wife likes the bamboo, but everyone at the flooring store today told us that it scratches easily. True or false? :~) There is no black and white answer here. There are many variables impacting the situation you are talking about. To start, all natural materials can be damaged and some easily. The age of the bamboo when it’s harvested makes a difference as to strength and scratch/dent resistance; the older it is the sturdier it is. The way it’s processed will impact the sturdiness as well — too much carbonizing weakens the cells. Vertical and horizontal cuts also impact the hardness of the floor; horizontal cut is stronger than vertical cut. The hardest bamboo floor you can buy is a horizontal and un-carbonized (natural) that’s made from 7 year old grasses. After experiencing bamboo flooring that was pre-finished I would not go that route again. I’d finish my flooring in place so the gaps, nail holes and imperfections arising from installation can be filled and sealed. I believe that will make the most durable and easy to care for bamboo floor. Now it’s up to you to decide if the bamboo is for you. It receives compliments from everyone who sees it. It’s easy to care for. I love mine. We had carbonized bamboo installed and finished by a professional in October, by November the boards begain to separate from one another. They same installer removed the flooring in Janauary and installed new bamboo two weeks ago and again a few baords have sepearted from each other. The isntaller had installed brazillian cherry throughout our home a few years ago without issue. Is this typciall of bamboo. I’m guessing you didn’t acclimate the bamboo to your home first. Given the humid climate bamboo is grown and manufactured in you can imagine how much moisture it holds. Even if you live in a humid area of the U.S. it’s not as humid as where bamboo came from. And your home is even drier than the general climate of your area. I harp on how important it is to acclimate bamboo flooring (cork too) before installing it. I live in an arid region and it took months for my floor to get dry enough to install — and I had it stacked outside the packaging indoors during most of that time. If you want to try it again be sure to open the bamboo packaging and let it sit in the areas you’ll be installing it until the hygrometer reads something like 10-11% (or see what your installer recommends as a reasonable moisture content for your area). Then you can have it installed with no problem. My bamboo floor has been installed for two years now and I’m not having any separation or buckling. Thank you for the note the installer delivered the unfinished bamboo to our home 21 days before install. The bamboo was removed from any packaging and straps at delivery. Then a few other ideas include the bamboo may not have old enough when it was harvested. Or the flooring is defective from a manufacturing perspective. Or, 21 days wasn’t enough time for your bamboo to acclimate. Who is the flooring manufacturer? Have you contacted them about this problem? I live in a very dry, desert climate, and have been told that bamboo flooring will crack over time because of the humidity difference? Should I stay away from it? Bamboo flooring has only been around for a rather short time (since 1993), so who really knows what will happen in the long run in a desert climate? I haven’t personally heard of complaints like this. I would think it should be fine. Chances are, you’re buying somewhat locally, so it’s already going to be in this ‘desert area’ for a while before you bring it home…then of course, you should acclimate it to your home before laying it. This is something you should do with any wood flooring before it’s laid, just to prevent issues associated with shrinkage/expansion due to temperature and humidity. My wife and I live in a high desert climate and have bamboo floors, going on three years now. We were told the same thing but proceeded anyway. Our approach was to acclimate the bamboo flooring for several months to make sure it had dried out throughly before laying it on our radiant heat floors. It was a bit inconvenient going through that process but has been worthwhile. We have liked the floors enough that I’m going to install them in my office this winter, after they have acclimated to the office space. I was told not to use bamboo because in my humid area (Houston) the humidity would cause the floor to warp and buckle. Specifically if I didn’t keep my house temperature controlled and windows shut. Is this true? “Who” told you this? How are you planning to install it? I would certainly think floating it would work just fine as this method allows more for contraction/expansion due to humidity and temperature variances. I would suggest calling the manufacturer(s) of the product(s) you like and getting info straight from them. Always be sure to check out the warranty info thoroughly too. Can bamboo flooring be glued down to concrete? Would this application be less noisey? Also would it be OK to install it this way in the humid Southeastern US?One more question Have you ever seen a bamboo floor that has been refinished? Yes, some can be glued down — I’m pretty sure this has been covered in this thread. There is also a great, environmentally-safe(-ish) glue listed too. I don’t think that the glue down method would be any quieter. Most of the noise comes from walking on the floor, though of course not all. I do recommend putting cork under it for insulation. If you have the headroom, one of those moisture-barrier floating floors would be a good first layer because you could insulate then. Many floor companies recommend humid over dry climates. I haven’t seen a bamboo floor that has been refinished, but most of them can stand several refinishes before you are through the first layer. I would like to install bamboo flooring in my sunroom. When I am away, the temperature can rise to 140 degrees and below 0 degrees. Can a bamboo floor take these extreme temperatures? I do mention heat and durability in my article. 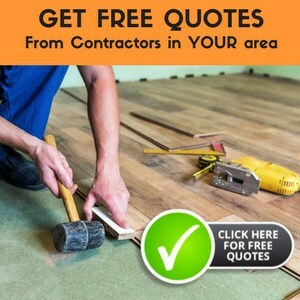 I would contact the manufacturer of your flooring to discuss the specific details of your floor. I would like to install bamboo flooring in my bedroom. My contractor is recommending unfinished versus finished, claiming that unfinished will provide a tighter fit resulting in less problems. Do you have any thoughts on this? I’m in Colorado where it’s very dry, will I have issues with shrinking? We had a very humid summer, which is rare. Also, my downstairs kitchen and hallway flooring is red oak. Is it a faux pas to install a different wood and color upstairs? The paint in the bedroom is the same as downstairs (green). The natural bamboo (light) would really go well with my paint and furniture in my bedroom. I would use what looks best to you, regardless of what is downstairs. You could also stain the bamboo to be a color you’d prefer. I do usually recommend using finished products, or sealing the floor after staining because it will offer better protection for the floor, and will last longer. A contractor is trying to sell me a little different variety of horizontal bamboo flooring. Instead of the full 5/8″ thickness, it has a much thinner top layer (about 1/4″) on top of other wood material similar to many types of engineered wood flooring. This would be installed in a high humidity beach environment. Do you have any comments on this type of flooring? Bamboo is an engineered floor, with the processed grass strips layered and glued to make a dimensionally stable flooring product. Given its native climate where moisture ranges widely during the growing season, it can be used in places wood floors are usually avoided, like the in bathroom and kitchen and on radiant floors, because it is used to moisture fluctuations. If you are unsure about the choice, make sure to ask you contractor questions, and have it covered in your warranty or contract.